African highlife/township, calypso, soca and reggae band for hire. 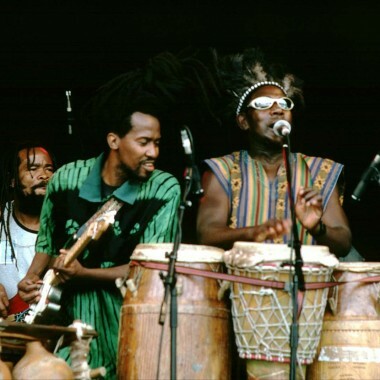 Baraka are a unique combination of dance and party music featuring West African Highlife, South African Township and Calypso, Soca and Reggae from the Caribbean. The line up features musicians from Ghana, Zambia, Dominica and Ireland, providing an exciting mix of dance rhythms, soaring melodies and funky grooves. 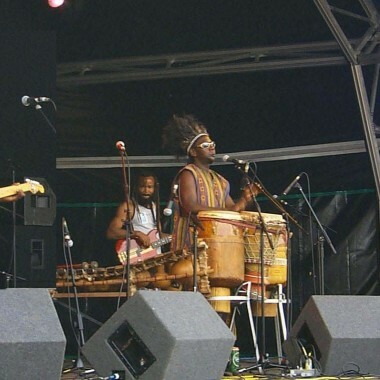 Baraka is fronted by Ben Baddoo, master drummer and dancer from Ghana, delivering a potent combination of driving rhythms and subtle vocals. Simmi Zeko from Zambia adds his unique brand of funky guitar and vocals, and Royston Gage from the Commonwealth of Dominica brings in the Caribbean influence on bass. Two Irishmen complete the line up, Mark Bradley on drums delivers the rhythmic heartbeat and, Brendan Whitmore adds the finishing touches with some explosive saxophone. 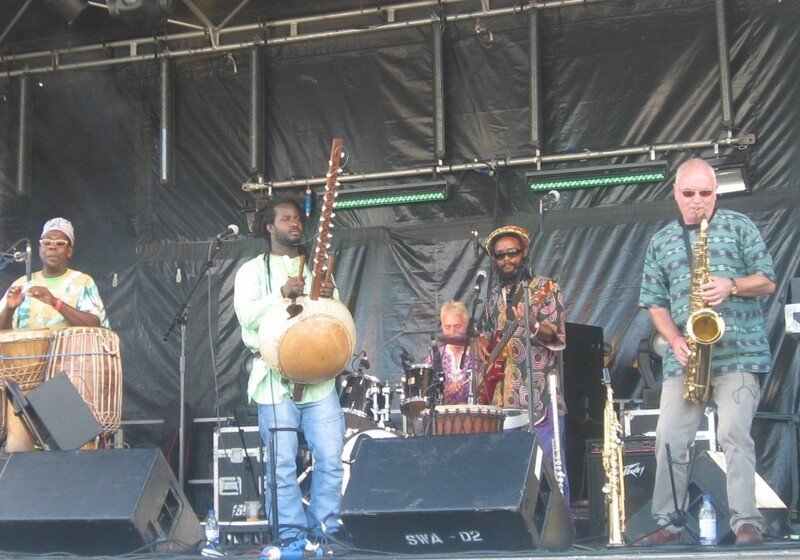 2009 saw a change in the band’s line-up as they welcomed a new guitarist – Daniel Isakongo from The Congo. Daniel brings Soukous and other Congelese rhythms into the mix. Glastonbury Festival – St Paul’s Festival, Bristol – Bristol Community Festival, Ashton Court, Bristol – Womad Festival, Reading – Trowbridge Village Pump Festival – Bristol Regatta – Respect In The West, Eastville Park, Bristol – The Big Weekend, Cardiff.